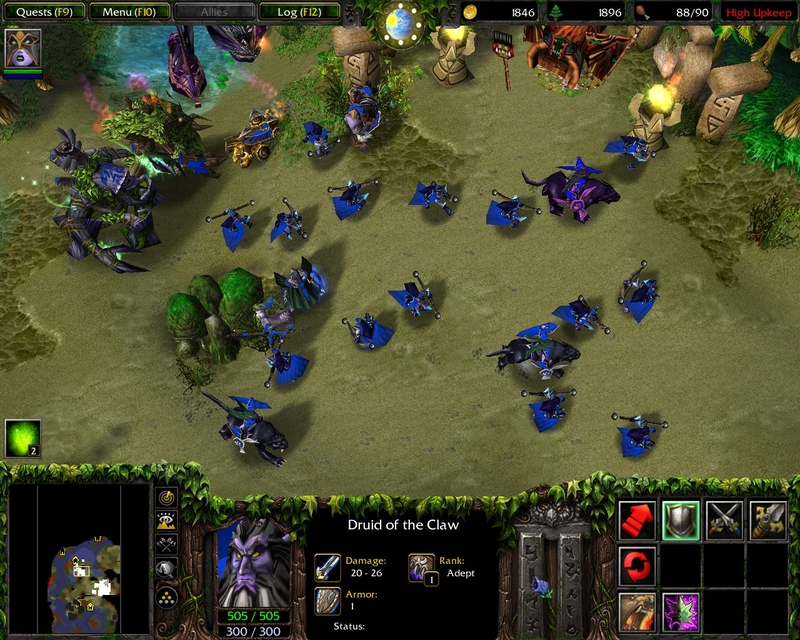 Warcraft 3 is a classic RTS where as well as controlling your base and army you also have a few heroes that explore, get XP and level-up. 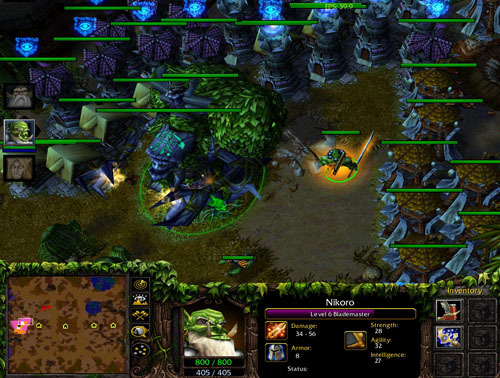 The best players are able to keep their bases building and gathering while controlling three heroes and a large army; constantly defending, levelling and harassing the enemy in a dizzying display of skill. We didn’t play like that at all. As rule we’d turtle in our base until we got a few troops then go and out and micro them fighting. Because managing the base was Completely Impossible While Controlling Your Army we’d normally build a few static defenses (towers) to keep it safe and secure while trundle off with our army. The process would continue until two people’s armies would randomly stumble on to each other and then then it’d all kick off. That said, there were those that took things to ridiculous levels; line upon line of towers stretching as far as the eye to see. The theory was that by making it a total pain to kill them, then everyone would attack each other and leave them to last; Victory by Boredom. Because everyone’s base was in the middle of a forest, I could make my own path in. Over the course of the game I manually micro’d the heroic lumberjack and slowly chopped a road into his base, just behind the Maginot Line Of Tower Death. He’d invested so much into the tower defense that when my enormous army piled into squishy innards of his base it wasn’t much of a fight. But it wasn’t about the victory. It was about sending a message.